Jump-start reading success with reproducible learning packets which teach the first 100 Dolch high-frequency words in an exciting and systematic way! 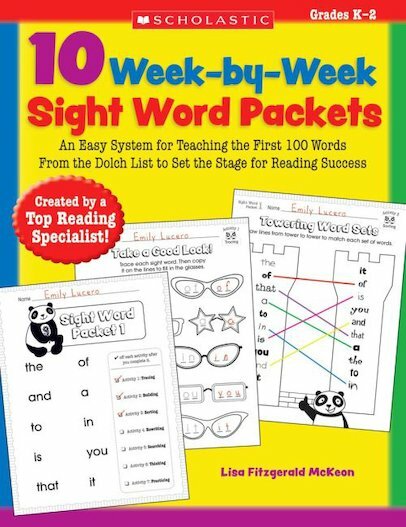 This book contains ten packets of fully photocopiable games and worksheets, each practising a different set of target sight words using puzzles, word-searches, tracing, sorting and other fun activities. The packets are so easy to use that most children will be able to complete them independently. Perfect for whole-class learning or homework!